Leisure Pool & Spa Supply, Inc. 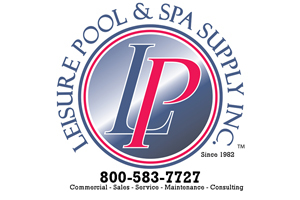 Leisure Pool & Spa Supply, Inc.™ is Indiana’s leader in the commercial aquatic industry. They are family owned and have been in business since 1982. In 2011, they opened an Indianapolis branch office & warehouse to better serve the central and southern Indiana markets. Leisure Pool & Spa Supply, Inc.™ specializes in aquatic facility renovations, new equipment installations, circulation & filtrations systems including regenerative D.E., water treatment & control, aquatic facility equipment, safety equipment, audits, splash pad design/build, gutter systems, aquatic consulting, aquatic design assistance, new construction, indoor clean-air solutions, water testing, & much more! Call our commercial pool division at 800-583-7727 to get started on your next aquatic project!